I'm working on the car show page for July, but in case I don't finish it today, here's a list of the car shows I know about for Canada Day. (former) CFB Uplands, Ottawa, Ontario. Enter via Breadner Blvd. 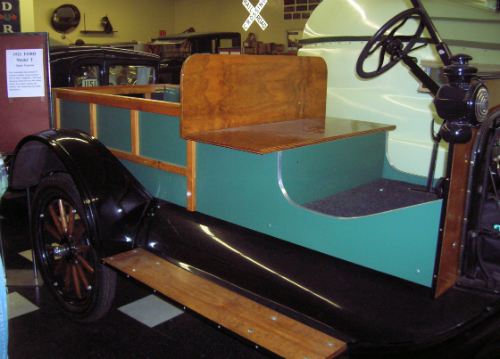 While many of the Model T Ford Open Express vehicles had bodies built by the Field Body Corporation of Owosso, Michigan, (more info in Field HERE), this 1921 restored model doesn’t look like one of theirs. Field bodies were a baked enamel green, and had iron bindings where this one has wood. 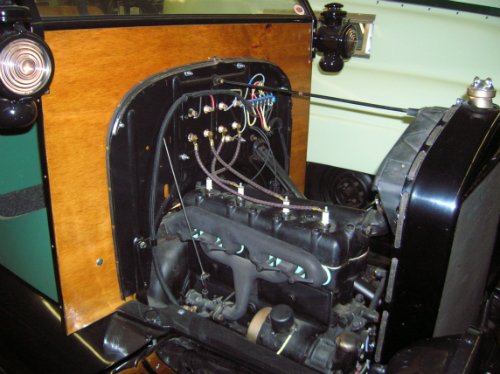 Of course, vehicles were considerably more customizeable back then (a Model T could be turned into a car, a truck, a tractor, even a snowmobile), and it wasn’t uncommon to buy the rolling chassis from the manufacturer and have someone else do the coachwork. I'm still working on the June page of car shows in the Montreal area, but here's what you need to know for this weekend.